Since the beginning of this year I have been putting any 20 cent coins that come my way into a wafer biscuit tin. This isn't a new idea, it has been something people have been doing for ages, but it is new to me. I have heard about it and thought about it so many times but I guess it was when I was decluttering my kitchen and was about to throw this tin out into the recycle bin when it occurred to me that it would be a great tin for this particular job. Why 20 cent coins? 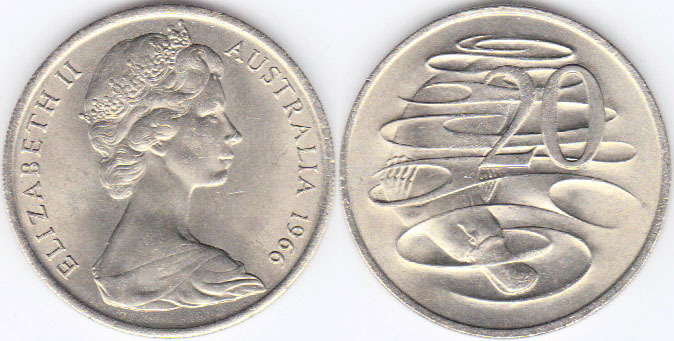 Well, for me 10 cents was just too little and 50 cents, although would be nice, would just get pinched out of the tin anyway, so 20 cent coins it was. I have exactly $12.00 in there at the moment. Not bad considering I don't do anything 'special' to get those 20 cent pieces. I don't deliberately go and get change from the shops so I can have more coins. I simply check my purse every now and then (after a shopping trip which for me isn't all that often) and then I put any relevant coins in the tin. Any extra smaller coins that I don't want in my purse go in my 'granny change' jar, which I have been doing for years now. The money in my granny change jar ends up in my kids' bankbooks for school. I am planning to continue this 20 cent 'challenge' until the end of the year, and then hopefully it will help me a little with whatever I need at that time - whether it is a little extra for Christmas presents, or groceries or a family dinner out. Or it can be banked into savings. I have time to plan that, the main thing is to keep putting those 20 cent coins into that tin!